Red Brick Art Museum is holding an Andres Serrano’s photography exhibition under the theme “An American Perspective”. It’s going to display Andres Serrano’s latest series of photos “Made in China” as well as his most world-renowned pieces of works. 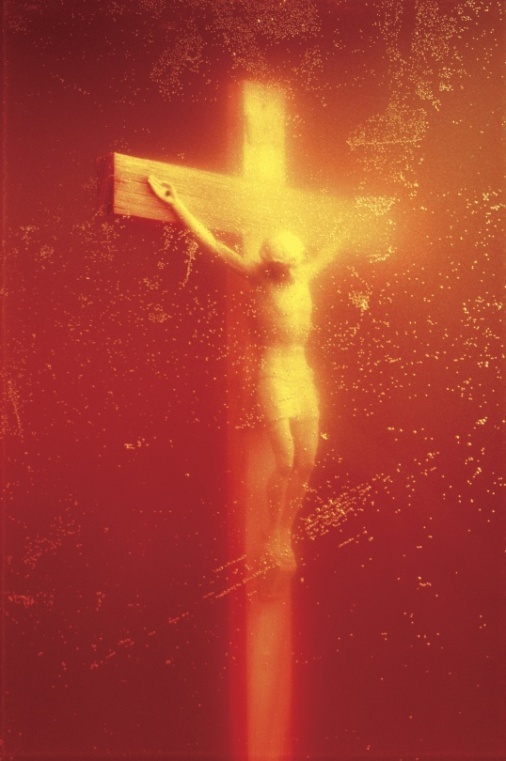 Andres Serrano, born on August 15, 1950, is an American photographer. He becomes famous for the bold photographic technique presented in his work wherein a great many focus on corpses, feces and bodily fluids. His controversial masterpiece, Piss Christ, has aroused a strong debate in the US once. The on-going solo show presents 53 large-format photographs and video works from his 16 major series. The famous Piss Christ is also on display. In the “Made in China” series, Andres Serrano shot portraits referred to wedding gowns. He invited newly-married couples, singles and divorced people of different ages and social backgrounds to dress in wedding gowns and shot the pictures. Serrano considers wedding gown as some kind of mark of China’s tradition, love, marriage and the country’s glorious past. The exhibition will last until February 25, 2018. Location: Red Brick Art Museum. Maquanying West Road, Shunbai Road, Xianghege Zhuang Village, Cuige Zhuang Village, Chaoyang District, Beijing. The Museum closes on Mondays.